When Arris announced last week that it would start making set-top boxes for cable providers running Android TV, one reader brought our attention to the fact that this wasn't a rare occurrence. We already knew about Airtel and Dish, but there are many more cable boxes running Android TV around the world that we didn't know about but luckily, there's one site that lists them all. 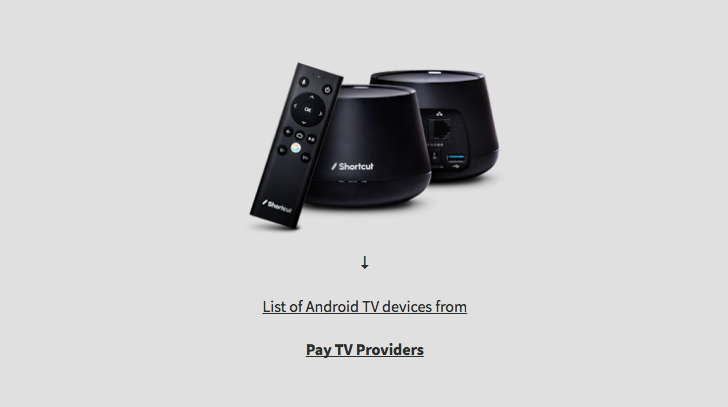 This isn't an official source — Google's Android TV site barely lists a couple of TVs and boxes — but it's compiled by a user (who seems to be a fellow Lebanese, hi!) and it's quite exhaustive. You can choose to view all OEMs, TVs, streaming/gaming boxes, or all Pay TV cable providers. That list includes all existing boxes, known upcoming ones, with photos and links, country and year of release, detailed specs, Android TV version they're running, benchmarking stats and manuals if available, and sources. You can view each cable box separately or skim through the handy spreadsheet at the bottom of the site (here's a direct link to the sheet - you can save it to your Drive). And to finish it all off, the site also has a small news section with the latest press releases from different set-top box companies. While we can't guarantee that the database will be kept up to date in the future, it is right now one of the best places (if not the only) where you can see a list of all Android TV cable boxes (and more).